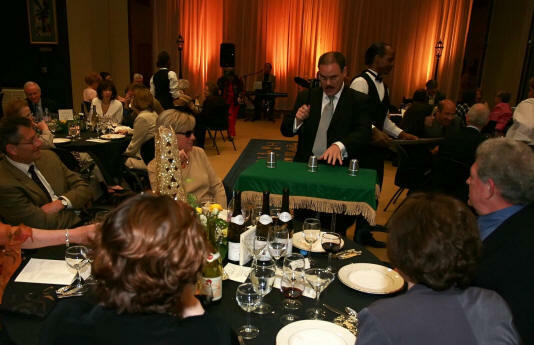 CAPSTONE'S performances feature skillful sleight of hand, amazing magic with classic magician props, audience participation, and loads of comedy. CAPSTONE offers different performance options to meet your needs whether you are a corporate event planner of a parent planning a birthday party. The best Birthday show ever! Thank you Mr Capstone for amazing my friends, making my Mom and Dad laugh, and making my 9th birthday very special. The Highlight of our Celebration! 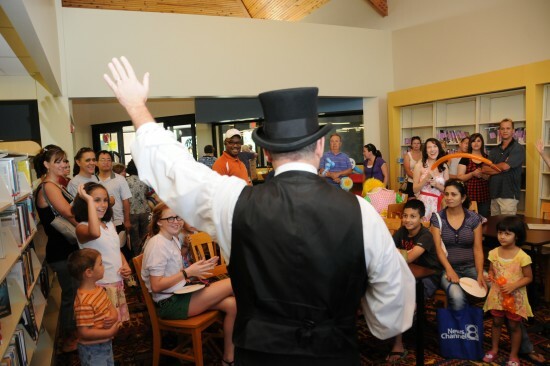 Mr Capstone was our Birthday Party Magician for our 6 year old. The audience, consisting of children with varying ages, as well as adults, were bewitched by his entertaining show. The group of teenagers who also joined us, found themselves absorbed in the magic of Capstone; It's a tough thing to impress adolescents, but he pulled this off with ease! I would highly recommend his services to anyone looking to book an entertainer. Thank you Capstone for making our party one to remember! Chris CAPSTONE has brought mystery and laughter to audiences for over 27 years. CAPSTONE’S fascination with magic began at the age of eight when he discovered an old trunk of magician’s props in his uncle’s attic. CAPSTONE was very fortunate to have been mentored by many magicians along the way. Of particular influence were the years he lived in England where he was privileged to attend meetings of London’s famous Magic Circle magicians’ club. Because of his love for the history of magic, CAPSTONE has patterned his shows after the past masters of the golden age of vaudeville. Considered to be a “new vaudevillian,” he performs old fashioned, classic shows that provide a unique experience for today’s audiences. CAPSTONE has appeared on television many times and been featured in newspapers and magazines. In addition to performing, CAPSTONE has created, manufactured and marketed products which are sold in magic shops all over the world. 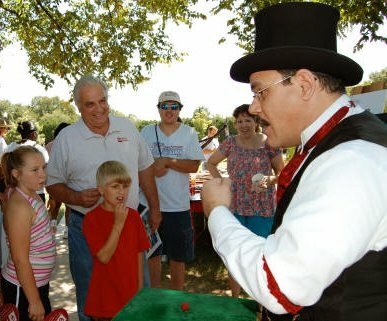 CAPSTONE provides consulting to other magicians. He designs and builds custom props for other magicians as well. He also owns a valuable collection of classic magician’s apparatus and antique magic books. Chris CAPSTONE lives in Tulsa, Oklahoma with his wife Cathy and their children Emily, Caroline, William, and Sophie.